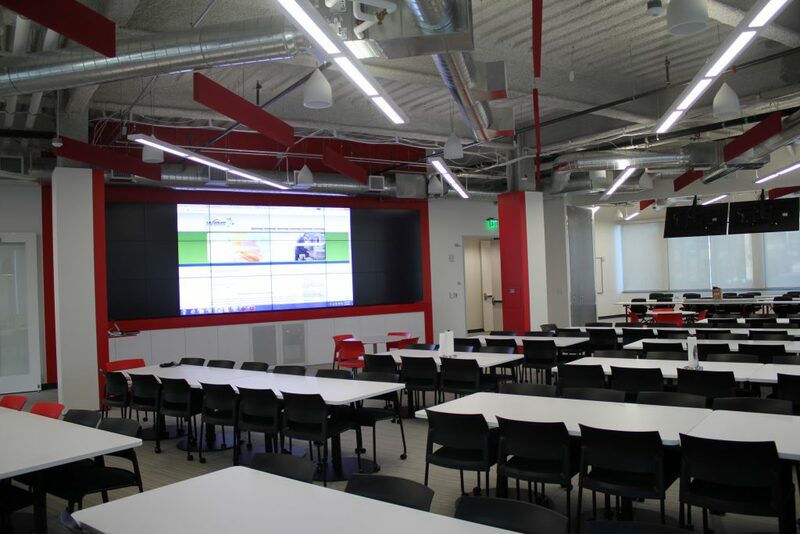 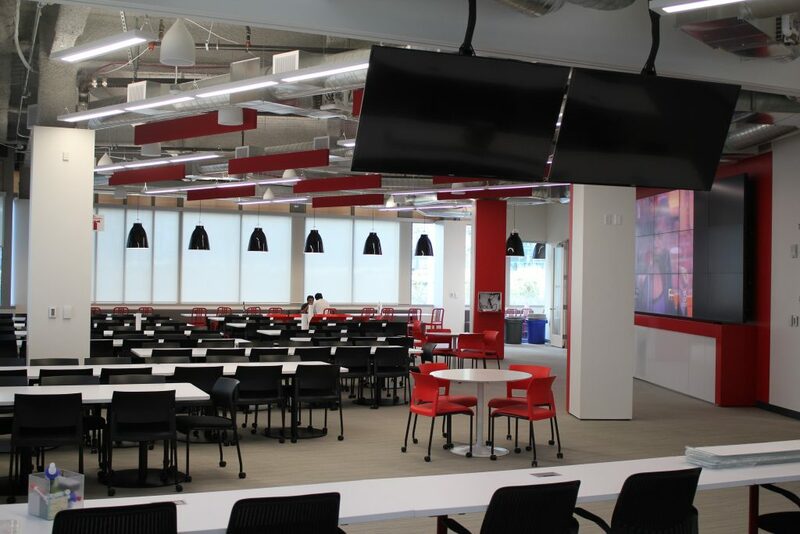 WBE Audio Visual installation included two video conference rooms, partner labs, and multiple presentation rooms throughout two separate floors. 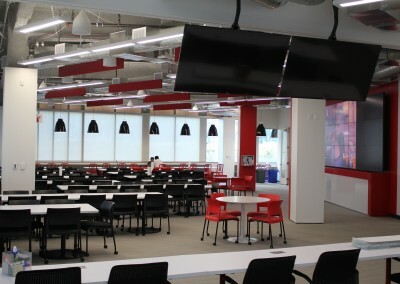 The reception area received a total of six 55” NEC Displays with a high definition wall processor using Crestron Controls. 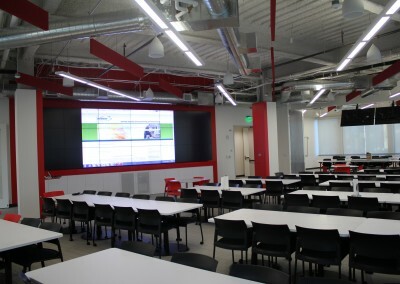 Another video wall consisted of a total of eighteen 55” displays configured in a 6x3 configuration. 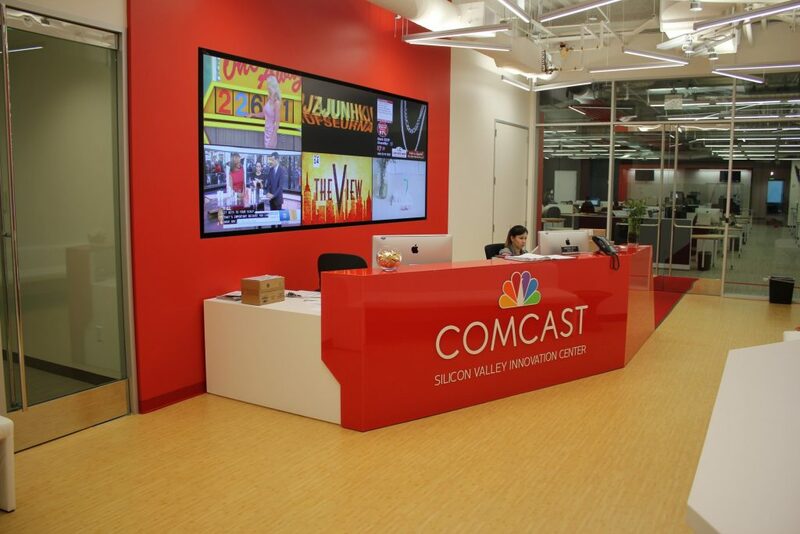 Digital signage was included in reception area.